As straightforward, character-driven drama, A Raisin in the Sun is one of best of its kind -- not just for the enduring, three-dimensional characters, but the natural way the film unfolds in a simple, effective manner. Not surprising, since all four adult members of the Younger family reprise their roles from Hansberry's original 1959 Broadway production, as well as one of the supporting characters (Louis Gossett Jr. in his film debut as Beneatha's suitor, George). 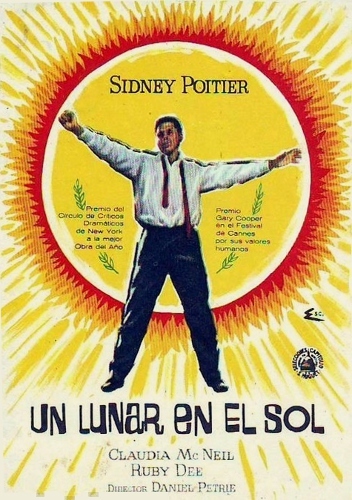 Hansberry also wrote the screenplay -- her first and only screenwriting credit before her untimely death in 1965, just four years after the film's theatrical release. 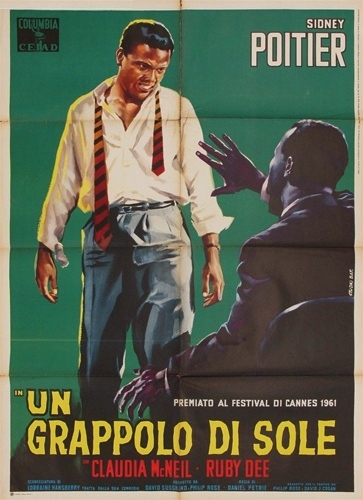 Perhaps the only major "substitution" is Daniel Petrie, who saw and enjoyed the Broadway production but was not directly involved; play director Lloyd Richards was seen as a risky investment for the film because he was black. Still, A Raisin in the Sun broke a lot of new ground in both the play and film variations, affording most audience members a realistic perspective on family life they'd rarely seen before. It's superbly acted from top to bottom: all four primary members are the most obvious standouts, especially Diana Sands (her character seems to be a stand-in for Hansberry, given her atheist liberal leanings), but there's not a bad performance in the bunch. 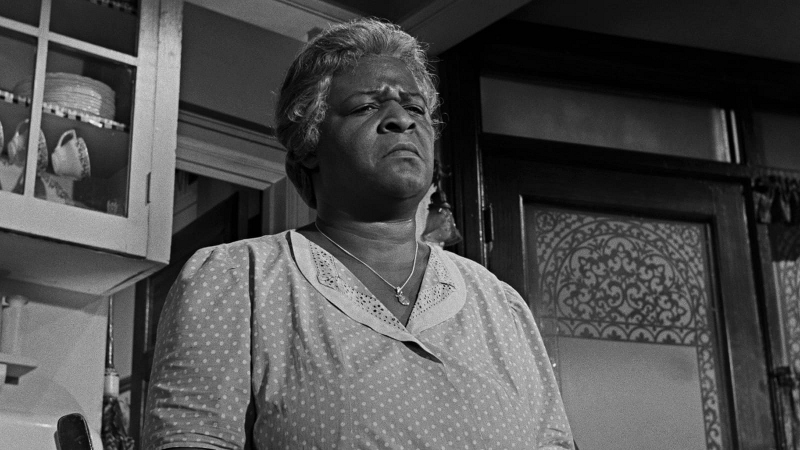 Criterion's long-overdue Blu-ray package for A Raisin in the Sun aims to replace Columbia's 2000 DVD and does so with ease, thanks to its sterling new 4K-sourced scan of the original camera negative and a handful of new and vintage bonus features. Despite the film's low budget (just under $1M, by most accounts) and extremely modest indoor locales, A Raisin in the Sun shines like a new penny on Blu-ray and die-hard fans will enjoy it from top to bottom. 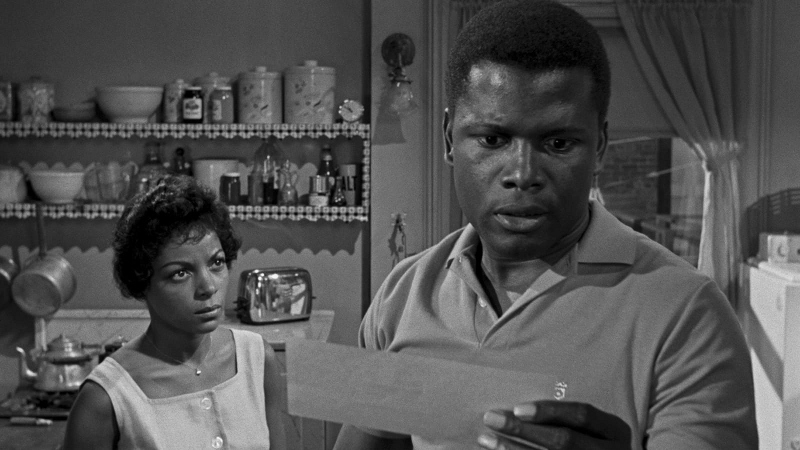 This new 1080p transfer of A Raisin in the Sun is taken from a brand new 4K transfer and can basically be described as the best possible presentation of its well-preserved source material. Black levels, texture, image detail, and contrast all outshine previous home video releases (namely Columbia's 2000 DVD, which pretty much goes without saying), while the substantial boost in resolution and grain stability reveal a lot of little background details that weren't visible before. No obvious imperfections, including noise reduction, black crush, or compression artifacts, were spotted along the way. Overall, it's a rock-solid presentation that, despite A Raisin in the Sun's low budget and modest visual ambitions, shines brightly on home video. Die-hard fans will be absolutely thrilled with how good this film looks on Blu-ray. 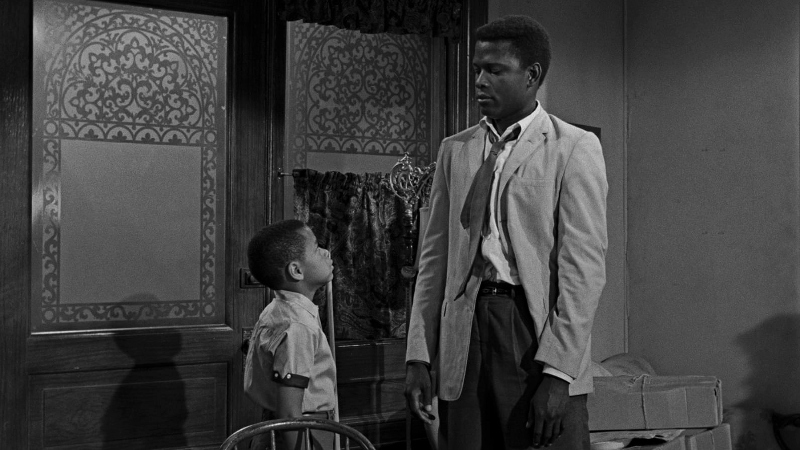 As usual, Criterion plays it straight with a PCM 1.0 Master Audio track that preserves A Raisin in the Sun's original mono mix; like the video presentation, a few forgivable flaws remain (mostly some very mild hiss during a few scenes, as well as a somewhat thin high end) but it's mostly great news here. Dialogue is always crisp and precise throughout, with well-balanced music cues by Laurence Rosenthal, background effects that rarely fight for attention, and even a few moments of sonic depth. Optional English subtitles are included, but only during the main feature and not the extras. Criterion's interface is smooth and easy to navigate with access to its timeline, chapters, and bonus features. The disc is locked for Region A players and comes packaged in a stocky keepcase with cover art based on the original Broadway poster. The accompanying Booklet includes production photos, notes about the restoration, an essay by scholar Sarita Cannon, and author James Baldwin's 1969 tribute to playwright Lorraine Hansberry titled "Sweet Lorraine". A mixture of new and vintage Interviews forms the bulk of these extras. The most recent ones feature author Imani Perry (24:57) and film scholar Mia Mask (24:47), who collectively discuss Lorraine Hansberry's childhood and how it influenced the story, the importance of Chicago as a setting, her influences as a young writer, idealism and postwar America, the film's unique place in cinema history, behind the scenes friction during the theatrical production, racism that the cast experienced during filming, and this role in comparison to the rest of Poitier's filmography. Further back, we get first-hand contributions from director Daniel Petrie (2002, 6:45) and Lorraine Hansberry (1961, 23:45 - audio with photos); both participants go into various levels of detail about the film's adaptation, seeing the Broadway play for the first time, and other topics, the story's legacy and lasting impact, social change, and future projects. Also here is a 2002 episode of the long running [and recently discontinued] CUNY television show Theater Talk (26:43) featuring producer Philip Rose and actors Ruby Dee and Ossie Davis, who took over for Poiter in later stage productions. This is a great inclusion and touches upon their experiences performing live, differences between the film and play, and more. On a related note is an 1978 excerpt from Black Theatre: The Making of a Movement (50:08 total, including a new introduction by director Woodie King Jr.), which likewise sheds light on the film and play's special place in history and, like other bonus features here, also includes several vintage photos and press clippings that help put everything in its proper context. Finally, we get the film's Theatrical Trailer (2:48) which looks to be in good condition. Daniel Petrie's film adaptation of Lorraine Hansberry's immortal A Raisin in the Sun remains timeless and effective more than a half-century after its theatrical debut. It's a faithful and sensitive variation with most of the original cast members, all of which have no problem shifting their characters to the big screen. If you've seen the play or are familiar with the story but have never seen this for whatever reason, it won't disappoint. Criterion's Blu-ray package follows Columbia's 2000 DVD but by almost two decades -- a shame more supplements weren't filmed several years ago, before the deaths of Daniel Petrie in 2004 and Ruby Dee in 2014. It's a great package featuring a new 4K-sourced scan of the original negative, as well as a great mixture of old and new extras. Highly Recommended for obvious reasons.